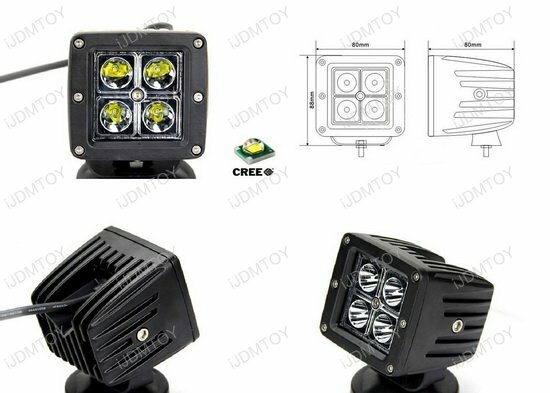 Q: Will this LED fog light kit fit my truck? 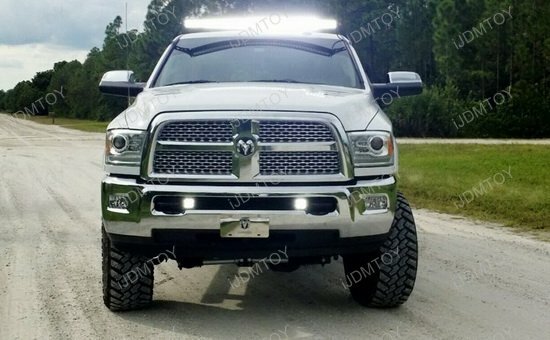 A: This LED fog light kit is compatible with the 2009-2018 Dodge RAM 2500 3500. 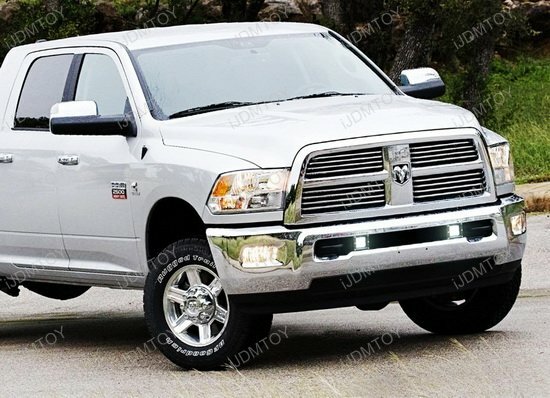 Q: How do I install the LED fog light onto my Dodge RAM? A: First you will need to mount the LED pod light onto the U-shaped mounting bracket using the provided nuts and screws. 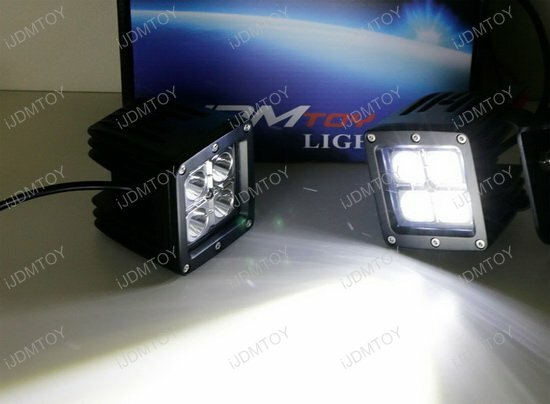 To see how to mount the LED pod light with the bracket, visit how to install truck LED pod light. Now it's time to mount the LED pod light onto the truck. 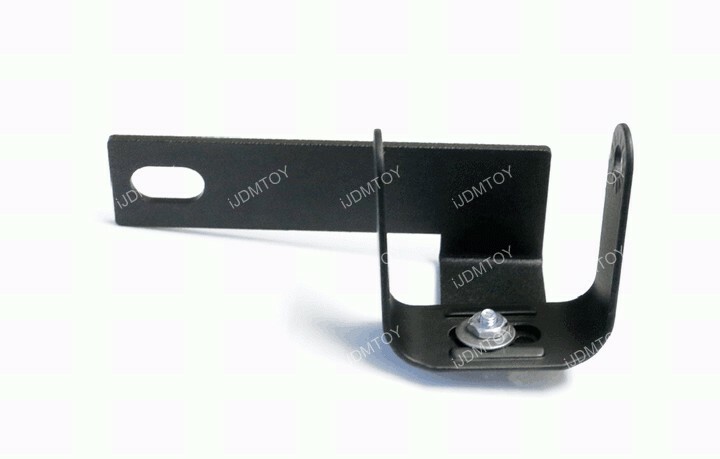 Secure the U-shaped mounting bracket from the pod light onto the holding bracket using a washer and then a screw, as shown below. 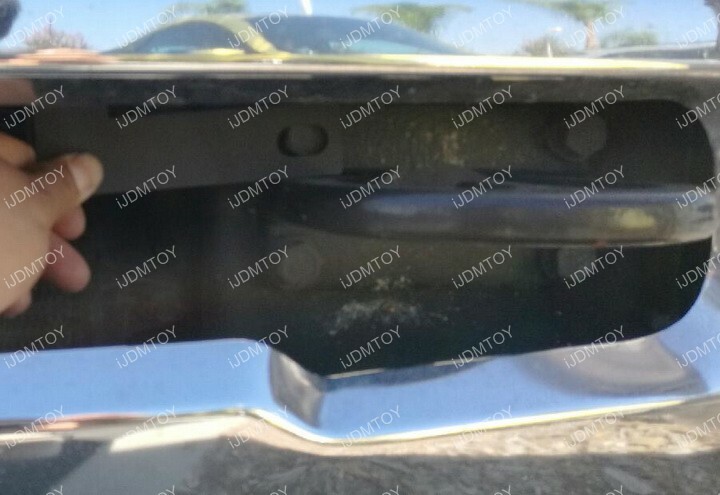 Our sample picture doesn't have the pod light so you can see how you will be mounting both brackets together. You will see two holes in the holding bracket, but you only need to mount the U-shaped bracket on one hole. 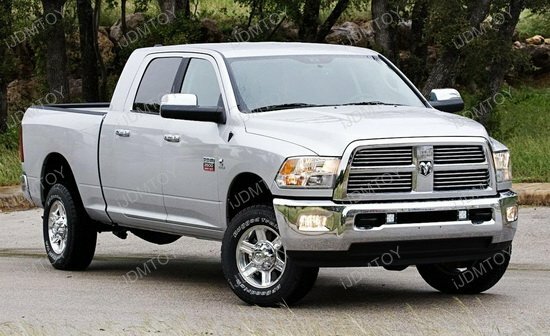 Now focus on the stock tow hook that is found on both ends of the truck. There are four bolts that hold the tow hook onto the truck. 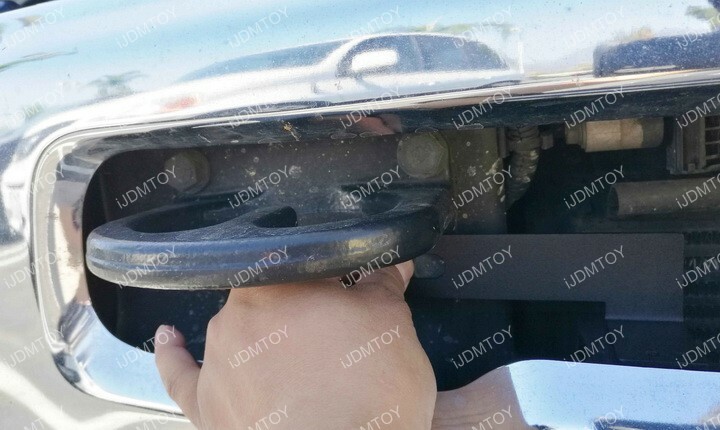 Release one bolt and mount the holding bracket onto the stock tow hook. Then re-bolt back to secure. You can choose either the lower bolt to allow the LED pod light to sit on the U-shaped bracket or you can choose the upper bolt to allow the LED pod light to hang from the U-shaped bracket. 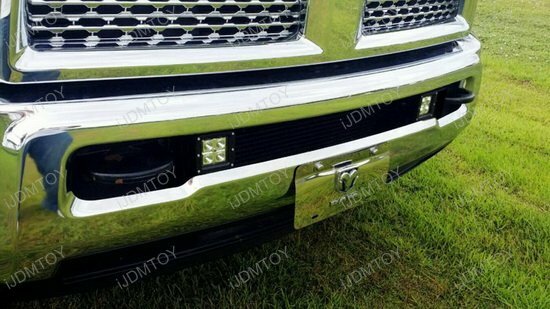 This page features a set of 3" cube shaped LED fog light kit with metal mounting brackets for the 2009-2018 Dodge RAM 2500 3500. 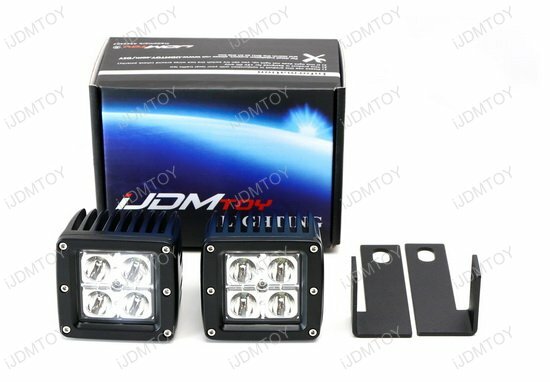 The complete set includes a cube shaped LED fog light kit with metal mounting brackets so you can secure your new LED fog lamps in place. 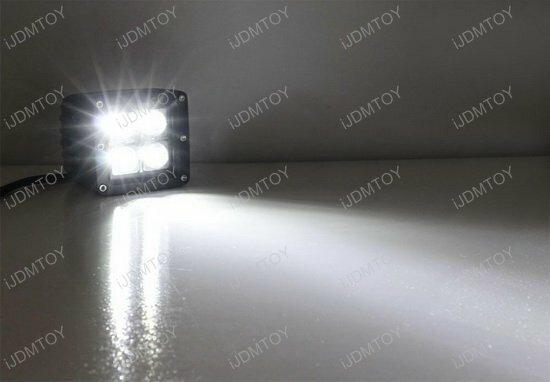 You will even notice just how bright the LED fog lights are, which is no surprise, since they are a whopping 40W output! 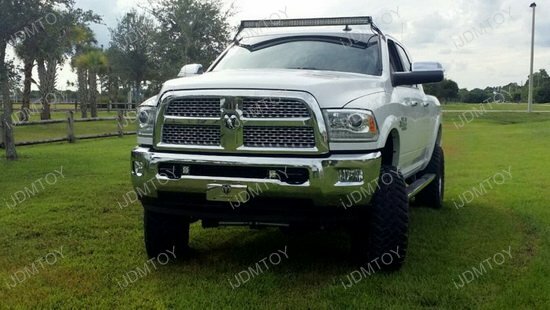 If you're someone who uses the Dodge RAM as a daily and as a utility vehicle, then these LED fog lights are an important tool that will keep you safe and looking sharp.